The Trigger 6 SHOOTER Wireless Controller Combo Kit pairs our critically acclaimed Trigger Six Shooter Wireless Controller with two essential installation accessories: Our Wheel-Well Controller Mounting Bracket and the Overhead RF Remote Mount! 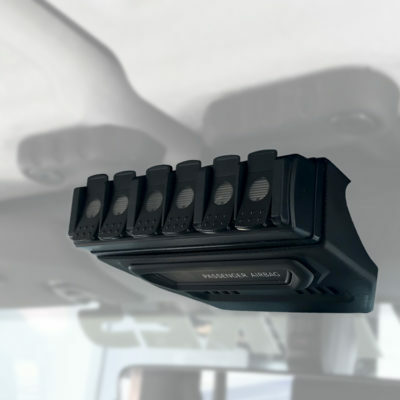 The Trigger JL overhead mounting system is designed for quick and easy “No Tools” installation above the front windshield of a 2018+ Jeep Wrangler. 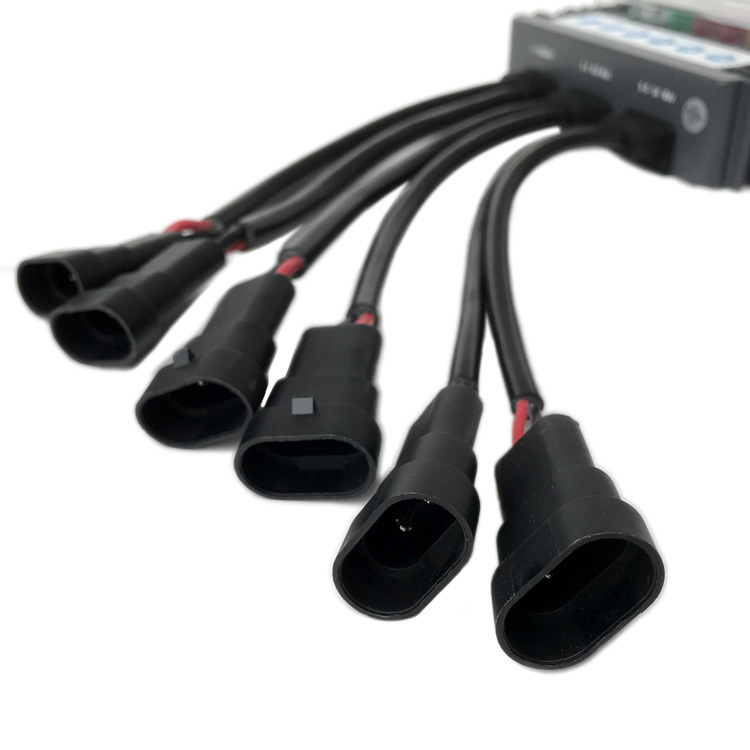 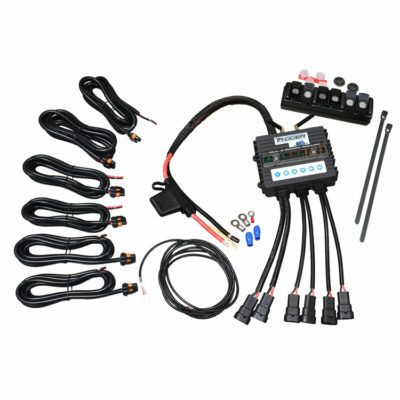 In fact, it allows the Trigger Six Shooter RF remote assembly to be quickly and easily mounted in one of most easily accessed areas of the Jeep interior. 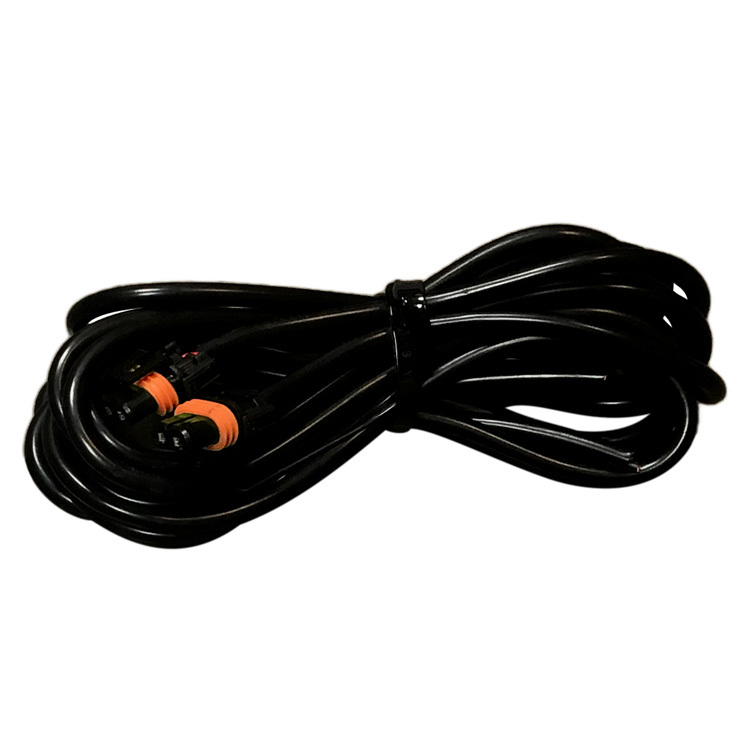 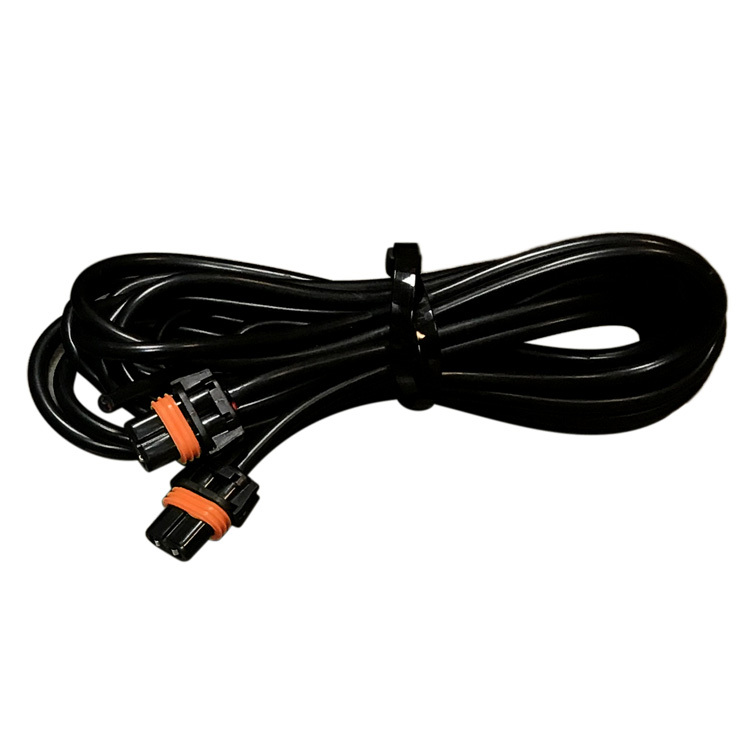 Furthermore, it requires no drilling or screws and is easily removable without causing any damage to the vehicle. The plastic body includes a steel sub-structure that incorporates a clip system for attachment to the vehicle. 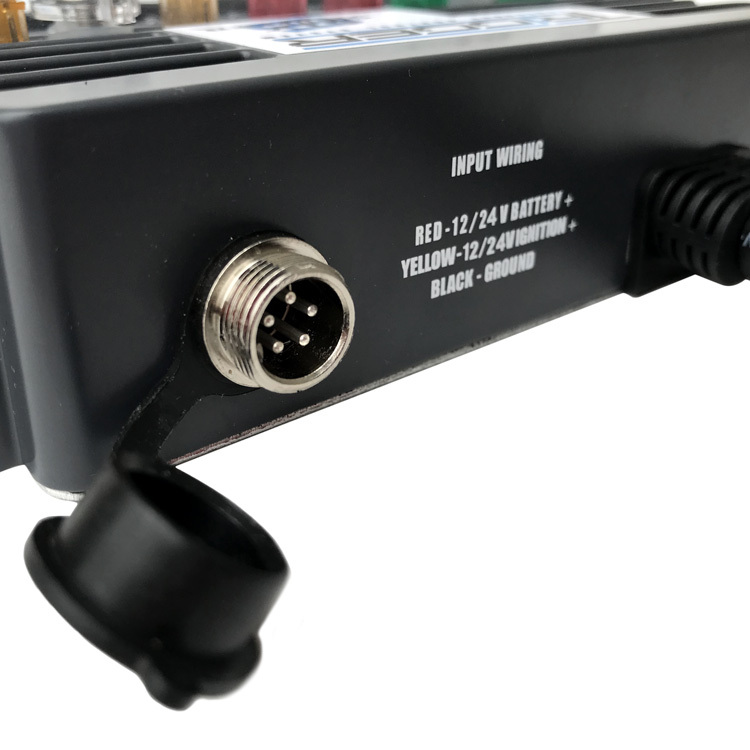 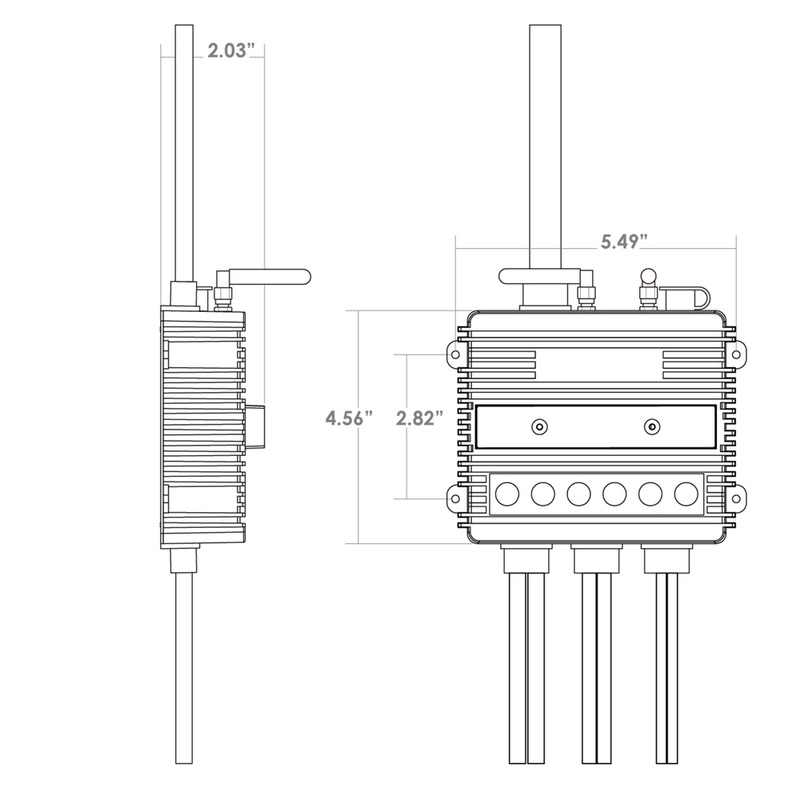 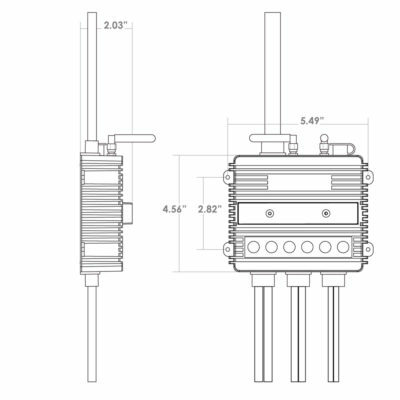 Includes hardware for mounting your RF remote base. Once mounted, the bracket allows the remote a few degrees of up and down angle adjustment for improved switch accessibility. 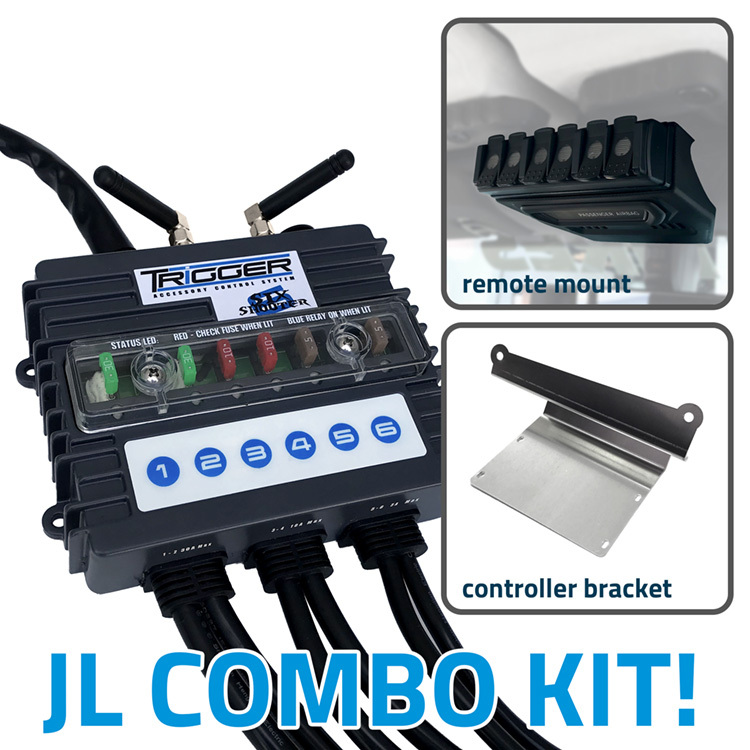 The Trigger JL underhood mounting system is designed for quick and easy installation in the space between the battery and inner wheel-well sheet metal of a 2018+ Jeep Wrangler. In fact, mount the Trigger controller module in an otherwise unused location under the hood, adjacent to the battery. 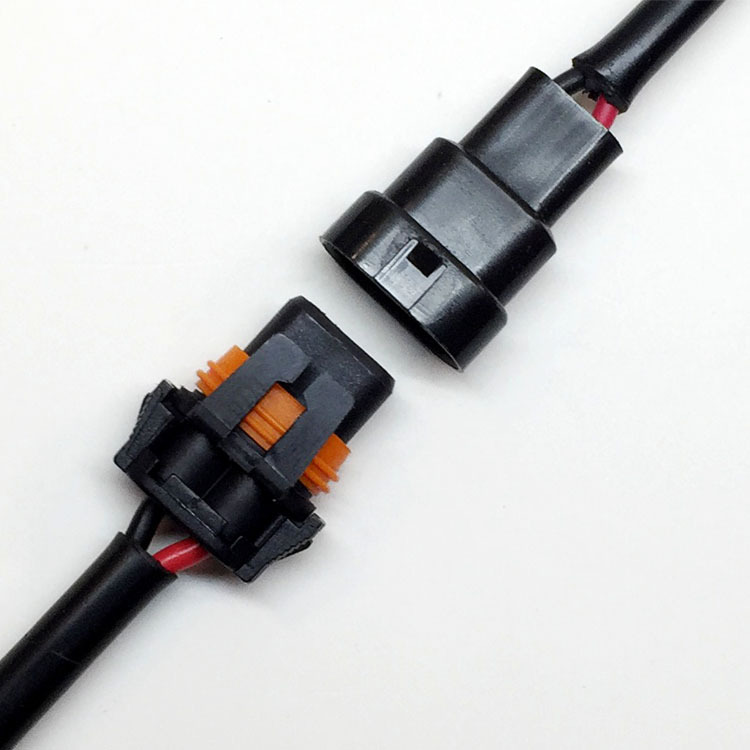 Furthermore, it requires no drilling and is easily removable without causing any damage to the vehicle. 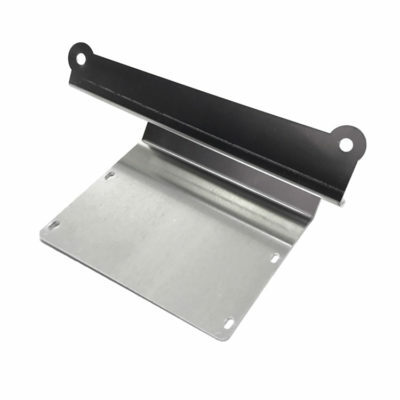 Laser cut aluminum sheet metal for long lasting strength and durability. 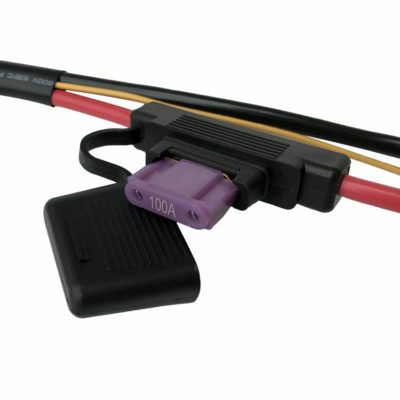 Designed only for use with the Trigger Accessory Control System (not included). 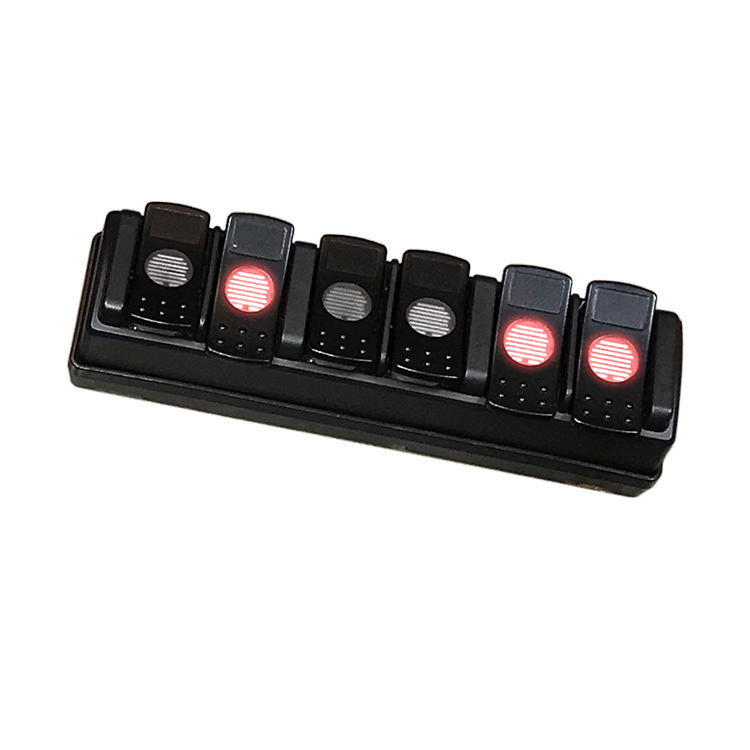 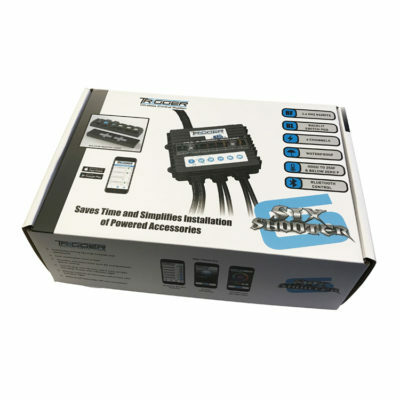 TRIGGER 6 SHOOTER Wireless Controller Combo Kit for Jeep JK also available, click here to view.